FAS | Our Commitment to your Financial Goals | Independent Financial Planner | Financial Advisory Service, Inc.
For more than 35 years FAS has placed its clients best interest ahead of its own. Your financial plan will be tailored to your needs and your investment portfolio will be managed in accordance with your stated goals. Our plan recommendations and investment management discipline are conducted with Fiduciary Duty and Responsibility; we are legally required to act in your best interest. Advisor teams at FAS consist of at least one person who has achieved the Certified Financial Planner® designation. We make ongoing investments into end-client technology to ensure each client has access to professional grade tools which assist in managing the financial side of life. We commit time to know and understand you personally as well as your financial goals and objectives. Working as a team we are able to accomplish your goals in a more timely and efficient manner. As an independent and fee-based wealth management boutique, we are uniquely positioned to allow you and your goals to guide our efforts. 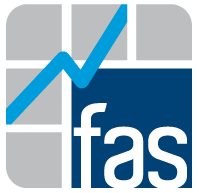 When you work with FAS, you meet and work with a team of specialists. The team will have a leader (Advisor) as well as team members who specialize in investment management, all planning areas, tax strategy, and estate planning. Spending as much time as needed to understand your goals, the team leader will engage other team members to develop a specific and custom solution to meet your goals and objectives.